Hanks is a Class AA lifetime member of the Golf Courses Superintendents Association of America. 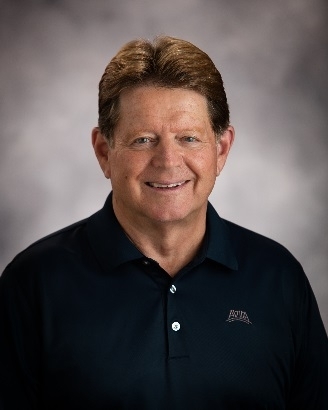 A former Certified Golf Course Superintendent, Larry became Vice President of Development and Operations for North Star Development Company, Inc. in Overland Park, Kansas. Responsibilities included all phases of club management and maintenance operations for the company’s golf course properties in North Carolina, Kansas and California. After running his own course development/acquisition consulting business in the mid-1990s, he spent seven years with Tampa, Fla.-based OneSource Landscapes and Golf Services, a pioneer in the contract maintenance niche where Hanks served as National Sales Director. Responsibilities included directing all sales activities for private, semi-private, resort, public, and municipal segments of golf courses. In 2003, he joined Valley Crest Golf Course Maintenance and as National Sales Manager, helped build what is today the golf industry's largest provider of contract maintenance services. Golf Course Superintendent at Brookridge Country Club in Overland Park, Kansas.